A majority of the largest metropolitan areas in the U.S. recently received good news on the mortgage front, as foreclosures dropped in the third quarter. Home seizure activity slumped on an annual basis in 62 percent of the nation's 212 largest population centers during the period, according to the latest data from the Metropolitan Foreclosure Market Report issued by the housing market firm RealtyTrac. A similar amount -- 63 percent -- also saw this type of issue fall on a monthly basis as well. However, on a smaller level, improvements were actually down slightly from the national average, the report said. Just 60 percent of the nation's 20 largest metropolitan areas saw similar declines in foreclosure activity, with San Francisco's decline of 36 percent leading the way, ahead of Detroit's 31 percent and Los Angeles' 29 percent. Phoenix and San Diego, at 27 and 26 percent, rounded out the top five. Meanwhile, there were significant upticks in activity in a number of other major U.S. cities, led by New York, the report said. There, foreclosure activity surged 69 percent, and the next-closest increase – Tampa's 43 percent – was considerably lower. Philadelphia and Chicago both saw increases of 34 percent, while Seattle's stood at 20 percent. Nonetheless, experts were encouraged by the overall improvement seen across the country, the report said. 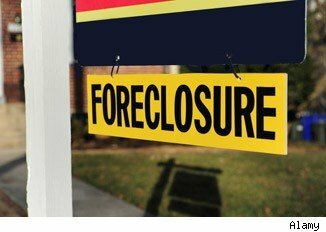 "Two-thirds of the nation's largest metros posted decreases in foreclosure activity in the third quarter, indicating that most of the nation's housing markets are past the worst of the foreclosure problem," said Daren Blomquist, vice president at RealtyTrac. "In fact, foreclosure activity in September 2012 was below September 2007 levels in 58 percent of the metro markets we track." Stockton, Calif., had the highest foreclosure rate in the country despite a 21 percent improvement on an annual basis, the report said. In that city alone, one in every 67 houses was in some stage of foreclosure, more than three times the national rate. But these problems are still massive in California, which is home to seven of the 20 highest foreclosure rates in the nation. On the other hand, all seven, like Stockton, also saw those rates decline year-over-year. Many government initiatives have been enacted to help consumers avoid foreclosure where possible, and in recent months, experts noted that more have been successful in doing so. Obama or Romney: Who's Better for Homeowners? Will 2013 Be the Year You Can Finally Get a Mortgage?